I blog about my life as a professional travel writer, and share travel stories, inspiring destinations and travel-writing tips. Lots of people start writing blogs, and many of them of them give up again fairly quickly. It takes a huge amount of effort to write regular posts, maintain a blog, and keep on top of social media, and it can often soon become a chore. Travel blogs – travelogs? trogs? Travel blogs – travelogs? trogs? – are the worst of all. There are so many of them out there, covering every single aspect of travel – budget, adventure, luxury, digital nomad, backpacker, cruise, photography, list-ticking, adventure challenge, you name it. Where does yours fit in? What makes it different? How is it ever going to be as good as that one? Once you start thinking like that, it’s really easy to get downhearted pretty quickly. Even though I’m a seasoned travel writer, I’ve learned lots in this last year about the art and science of travel-blogging. Art because, like all blogging, this is about creativity. Science because, like all blogging, there are formulas and methods to use. Not ‘how’ – how will I keep it up, how will I get subscribers, how will I (LOL) make any money? But – why? Why am I doing this? 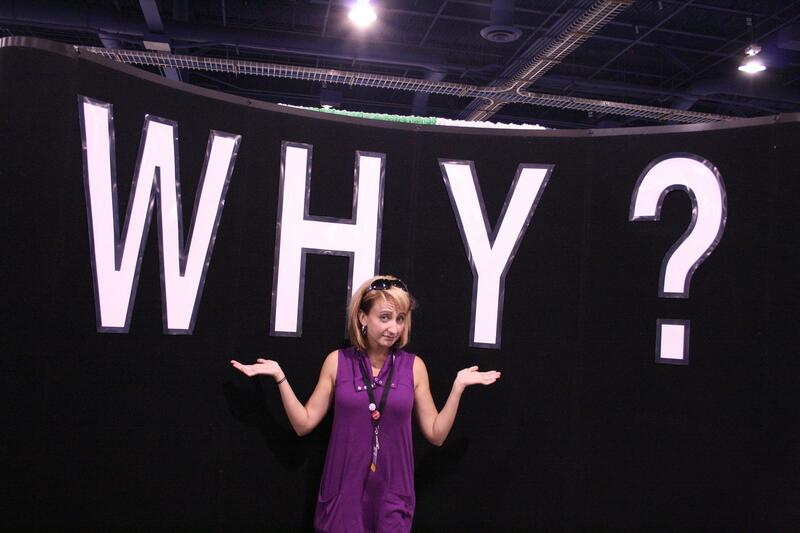 It’s a particularly good question for travel bloggers. If you’re writing a weight-loss blog, or film reviews, or how-to-make-a-million-from-the-internet, your reasons for blogging are pretty clear. But travel blogs, as we know, come in many different forms and the surprising thing is how directionless many of them are. The truth is, not everyone has something interesting or inspiring to say about foreign lands, and an awful lot of travel blogs are concept-heavy, content-light. I get that people like to travel around the world, and perhaps even get paid to blog about it, but if you don’t have a story – an underlying narrative of why we should care that you’re on another golden beach – and if you can’t tell a story, then your high-concept blog isn’t worth its travel-punning title. Maybe all you want to do is tell people you know about your holidays? 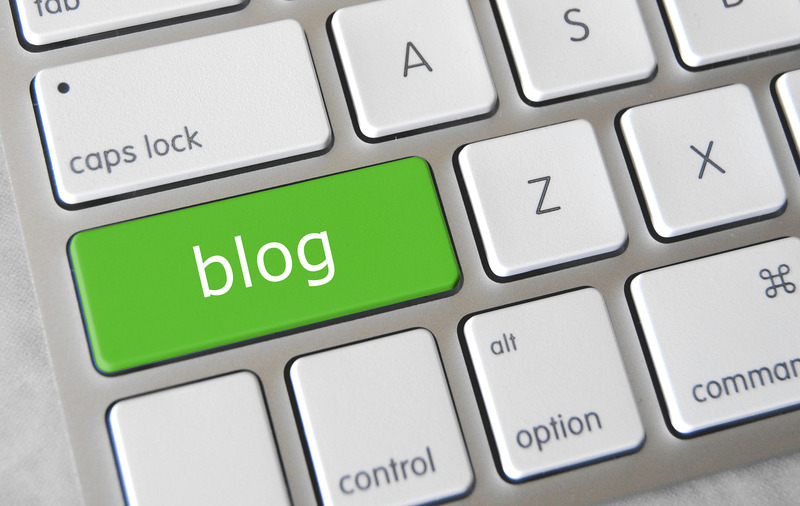 Blogs are great for that – no fancy title or concept required. Maybe you’ve had, or are enjoying, an amazing travel experience and want to share it with the world? Blog away, see who’s interested – and don’t worry if no one much is, if you’re having fun posting. Maybe you’re a talented writer or photographer, and the blog is your showcase? Maybe you’re on a genuine adventure? Or maybe you really think you can make a living from this? It doesn’t matter which. The point is, ask yourself the question – your blog will be all the better for a bit of focus, right from the off. I didn’t do Number 1 with Jules Told Me, which is why it took me a while to figure out Number 2 – namely, what’s your blog about, in twenty seconds or less (the time you have in an elevator to convince someone you’re worth reading). I had a title I liked, and a travel career to write about, and no idea where to go with it, which is why my first half-dozen posts were a complerely random assortment of photo stories and Top 5 lists. Here’s the very first one I wrote. No wonder no one read them or commented on them. Then, one day, I wrote a post straight from the heart – on how to be a travel writer – and realised that I had found the core of my blog, around which everything would then develop. I got some nice comments too, which convinced me that I was on the right track. I worked on my pitch after that, so that I was clear in my own mind what Jules Told Me was about. I put it right at the top of this post – “I blog about my life as a pro travel writer, and share travel stories, inspiring destinations and travel-writing tips”. Now do yours. One sentence is all you need. Keep going until you’ve got it. 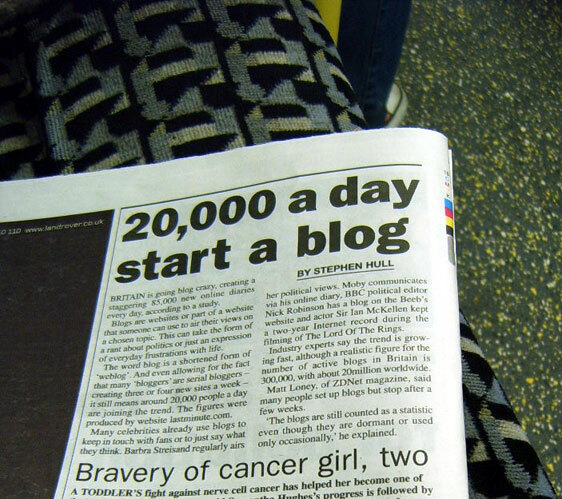 Because if you don’t know what your blog is about, nor will anyone else. Any successful blog needs a voice – a tone, a personality – that others can identify with. It’s how you build an audience. With travel blogs it’s not always about the words, though it helps if you have a story to tell and can tell it well. But your ‘voice’ might be your amazing photos or your incredible journey. Whatever it is, make it the thread that runs through your blog, and keep it consistent. That’s not to say you can’t go off at a tangent sometimes – I’ve mixed in highly personal stories about my birthplace in Ghana, and recounted weird things I’ve eaten on my travels. But they fit within my blog’s voice and help fill in some background. If I suddenly started posting about my favourite movies or ‘pets do crazy things’, you’d quite rightly wonder what the heck was going on – and maybe start looking elsewhere for travel inspiration and travel-writing tips. Be honest – you look at all those other travel blogs, many of which are truly excellent, and think ‘That’s so much better than mine’. You may even put your head in your hands. And, on occasion, pour yourself a big glass of wine and say ‘sod it’. I spent the first six months doing this (adopting Option B, the wine, rather more than Option A, the head in hands) until I realised that my blog had one huge advantage over everyone else’s. It was written by me, the world’s leading authority on Being Me. No one else has my exact experience or knowledge, or the same fund of travel stories, or the same way of sharing travel and writing tips. Other bloggers have been to the same places – or more places, or done more adventurous things – but none of them are me, or write like me, or have lived their lives like me. That’s what I bring to the party – a Jules Told Me-ness that lots of readers and subscribers tell me they like. I occupy my own travel-blogging niche, as you will too, once you’ve asked yourself why you’re writing your blog and sorted out your voice. So be positive and own that niche by always doing your best work. Be honest and consistent in your story and opinions, and be confident that no one else has a blog quite like yours. Do these things and I guarantee that someone, somewhere, is looking at your travel blog, sighing heavily and saying ‘dammit, where’s the wine’. It takes time to build up a blog, and the best advice I ever read on the subject was one sentence: don’t compare your beginning to someone else’s middle. Meaning – we’re all at different stages, and we all have different goals, so don’t define your success (or lack of it) by the look and feel of someone else’s blog. All you can do is your best work – whether that’s writing a post, taking an amazing photo, shooting a video or drawing up a travel itinerary for someone. The rest – an audience, appreciation, positive comments, engagement – will take care of itself, if you just keep on doing what you’re good at. With travel blogs, you can’t just post something vague about great things to see in Peru, there have to be 17 of them. Likewise with amazing free things to do in Barcelona – there have to be 5 of those. And there can only be 10 beaches in Australia or 8 National Parks in the USA worth visiting. In fact, whatever travel feature you blog about needs a number attached, or else the space-time continuum rips apart and your blog-post disappears into a black hole. No one knows why, it’s just the way it is. 7. Ooh, 7 things, there are 7, I forgot one! You have to ask everyone who reads your blog to please subscribe. Make sure you ask them nicely – I’d love it if you would subscribe to my blog, it would be great to have you along for the journey – and slowly, amazingly, people begin to turn up every week to read something you’ve written. It’s a priceless gift, that sort of support, and it makes everything worthwhile, so thank you subscribers, I salute you. Want more writing and blogging tips from Jules? Jules, congratulations on your blogiversary! I’m glad you didn’t give up. I can relate to all of these things, and especially #4. I think the good writers in any niche get paralyzed thinking about all the other writers who we decide do x,y,z better than we do. That was true of my dog blog and book too. You’ve just got to put your blinders on and get to it. Oh yeah, and I would add #8. Engage with other bloggers in your niche, especially the ones you like/envy. I’ve been amazed at the generosity I’ve encountered. And if you say something interesting on someone else’s blog, one with a lot of traffic, someone might come to yours…. Thanks Edie – and engagement is a great tip, I agree. It’s very easy to sit in splendid isolation, churning out posts, hoping people will like them. But being part of a community is important too and, as you say,, there are others out there who probably share your passions. Like yourself! Travel writers of the world unite! Thanks so much! Your support is much appreciated, and here’s hoping the next year is just as much fun. I only found your blog recently and enjoy it. I think your tips are right on! I look forward to more installments. from another Browne (in this case with an “e”)! Thank you fellow Brown(e)! I really appreciate your comments, thanks for the support. Thanks Janet, glad you enjoyed it – now you need to work on that pitch! Count me in for the workshop, thanks so much for asking – email me some details when it pans out? I’d love your expert thoughts on it some time. I think you should blog any excerpts you like – you won’t know if it works until you try, but it sounds like you have a fund of stories right there. I think it’s ‘find your voice’ time, as far as blogging goes! Thanks for the advice, Jules – I’ll give it a go then and just see what happens! Yep, a ‘fund’ is about right … I’ve been keeping travel journals for 15 years. Bearing your #5 in mind, I’ve just posted – http://bit.ly/1Mtj8Af – thanks for your help!